Mighty Words To Help Aquarius Move Forward! Aquarians are those who’re able to inspire others and help them push forward the limits.  As Aquarius reps are sometimes perceived as erratic or even freaky, they become a bit detached from other people including even their loved ones. You’re to learn to cope with such situations becoming at least a bit closer to more “ordinary” people. These affirmations will work best for you: “When my heart is open to others and to myself, both love and friendship are much easier to gain.” Alternatively, use this one: “When I try to pursue justice and freedom, I start to feel others need me and I need others.” What would your perfect affirmation be?